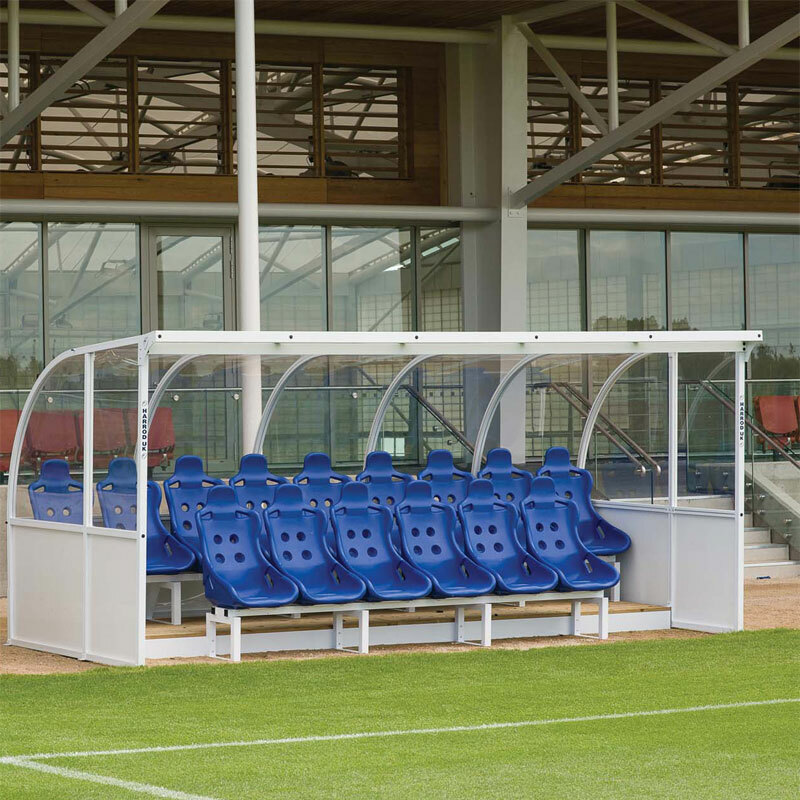 The Harrod Sport ® Elite Team Shelter is top of the range two tier 15 seat shelter with raised back tier and had been designed for professional clubs and top level venues. 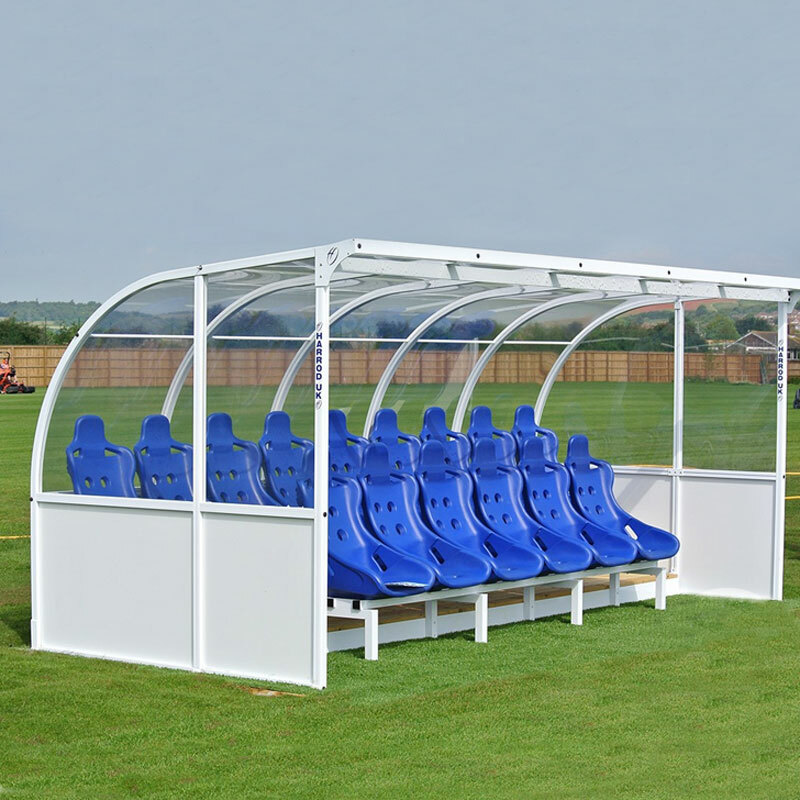 As used at St. Georges Park. 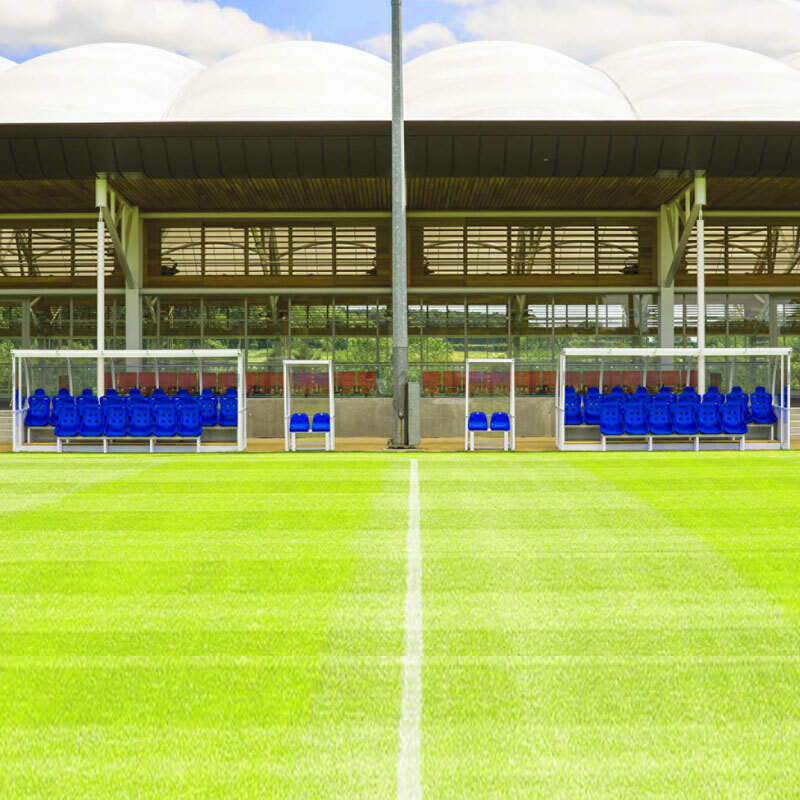 The shelter is 2.1m high allowing full standing access, with a total external depth of 2.4m and an internal depth of 1.2m. Please note Chem bolts be purchased separately. Please search on our website for Harrod UK Chem Bolt Shelter Anchors. Aluminium lower side panels for added strength. Rubber extrusion strips prevent water leakage. External depth of 2.4m and an internal depth of 2.1m. Floor fixed shelter with welded lugs for securely bolting down. Polyester powder coated white. Shelters must be anchored at all times. 5m shelter to seat 15 persons - 540kg per shelter.